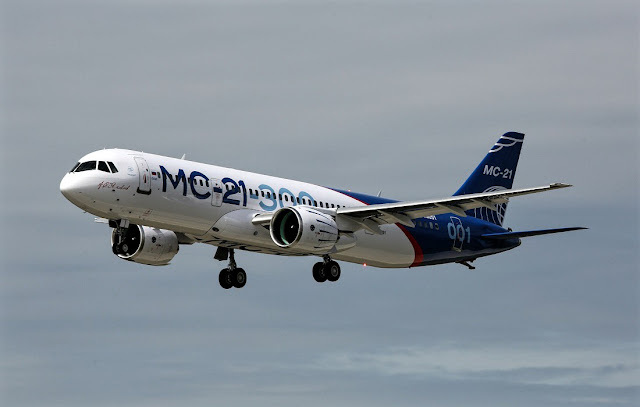 Irkut MC-21 Maiden Flight in Details. 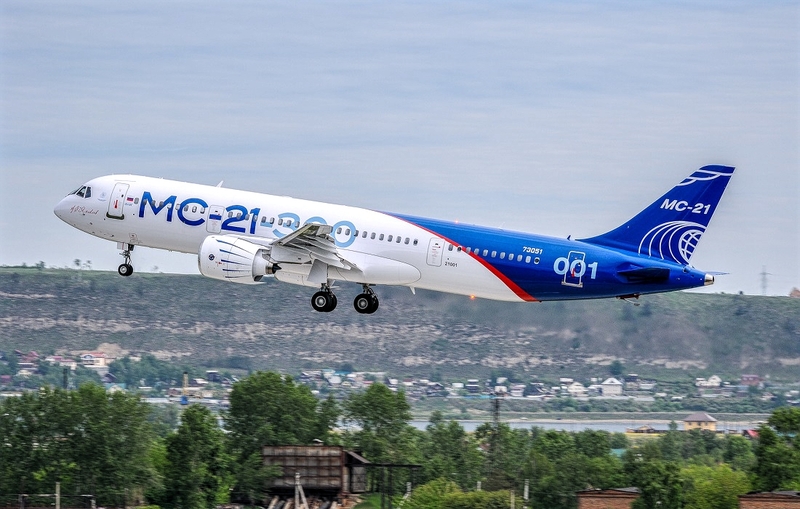 The aircraft maker has confirmed details of the first flight of its twin-jet MC-21, made earlier today. The Russian manufacturer says the plane was flown for 30 min at an altitude of 1,000 m and a speed of 300kmh (162knots). He adds that the flight plan "includes checking flight stability and controllability, as well as controllability of the powertrain". The MC-21 is equipped with Pratt & Whitney PW1400G engines. 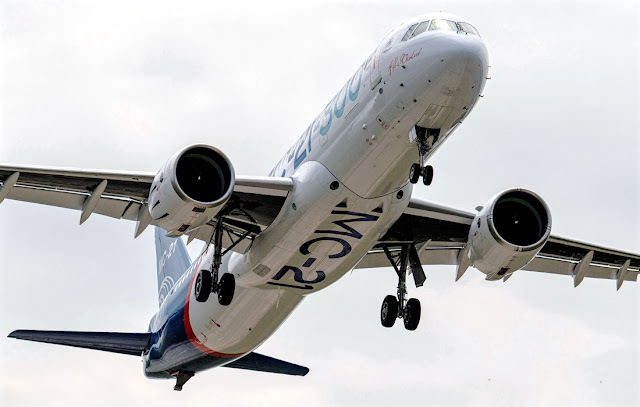 "During the flight, a simulated landing approach was followed, followed by a flight on the runway, climbing and turning," says Irkut. "This technique is typical for the first flight of new types of aircraft." Test rider Oleg Kononenko commanded the flight, while Roman Taskayev served as a co-pilot. "The flight mission is accomplished," says Kononenko. "The flight was in normal mode, there are no obstacles that prevent the continuation of the tests". Taskayev points out that "characteristics and modes of operation of the powertrain are confirmed" and that "all aircraft systems operate faultlessly". Yuri Slyusar, president of Irkut United United Aircraft (UAC), describes the flight as "an important stage in the formation of the new UAC industrial model." It notes that the MC-21 project is a "broad cooperation" involving a number of UAC entities: AeroComposite, Ulyanovsk and Voronezh, and an integration center in Moscow. Slyusar estimates "global demand in the MC-21 segment" in about 15,000 new aircraft over the next 20 years. "I'm sure airlines will appreciate our new aircraft," he says. The Irkut MC-21 is a Russian single-aisle twinjet airliner, developed by the Yakovlev Design Bureau and produced by Irkut, both within United Aircraft Corporation. The initial design began in 2006 and the detailed design was underway in 2011, after delaying the introduction of 2012 to 2020, the first 300 deployed on June 8, 2016. With a capacity of 132-163 passengers in two categories, up to 165-211 and up to 6,000-6,400 km (3,200-3,500 nmi) range, the standard -300 will be followed by a short -200.